^ 1.0 1.1 Palu · Population. Population.City. [2017-07-15]. ^ HASIL SENSUS PENDUDUK 2010 SULAWESI TENGAH. [2010-12-08]. （原始内容存档于2011-02-18）. ^ 4.0 4.1 4.2 Pemerintah Kota Palu. (2009). Palu Kota Dua Wajah. Palu: CACDS. ^ Conboy, Kenneth; Morrison, James. Feet to the Fire CIA Covert Operations in Indonesia, 1957–1958. Annapolis: United States Naval Institute. 1999: 101, 105, 116, 118, 121. ISBN 1-55750-193-9. ^ Indonesian quake causes panic. BBC News. 2005-01-24. 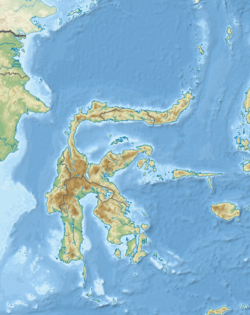 ^ EO Natural Hazards: Earthquake in Sulawesi. earthobservatory.nasa.gov. （原始内容存档于2005-10-29）. ^ Indonesia bomb leaves eight dead. BBC News. 2005-12-31. ^ 12.0 12.1 Bombing kills eight at Indonesian market. USA Today. Associated Press. 2005-01-31 [2011-07-28]. ^ 13.0 13.1 At least eight killed in Indonesia market blast. CTV.ca News. 2005-12-31 [2011-07-28]. ^ Indonesian police detain man after market bombing. ABC Australia. Reuters. 2006-01-01 [2011-07-28]. ^ 15.0 15.1 15.2 Peta Administrasi Kota Palu [帕卢市行政区划图] (Map). 1:126,000. Komunitas Atlas Geografi. [2017-07-15] （印度尼西亚语）. ^ 17.0 17.1 17.2 PALU, INDONESIA. weatherbase.com. [2017-07-15]. ^ PALU, INDONESIA. weatherbase.com. [2017-07-15]. ^ CLIMATE TABLE // HISTORICAL WEATHER DATA. climate-data.org. [2017-07-15]. ^ Pertumbuhan dan Total Penduduk. palukota.bps.go.id. 2012-01-23. ^ 佐科威总统访问南苏省 视察跨苏拉威西铁路工程进度. 印度尼西亚商报. 2015年11月25日 [2017年7月1日]. （原始内容存档于2017-08-05）. 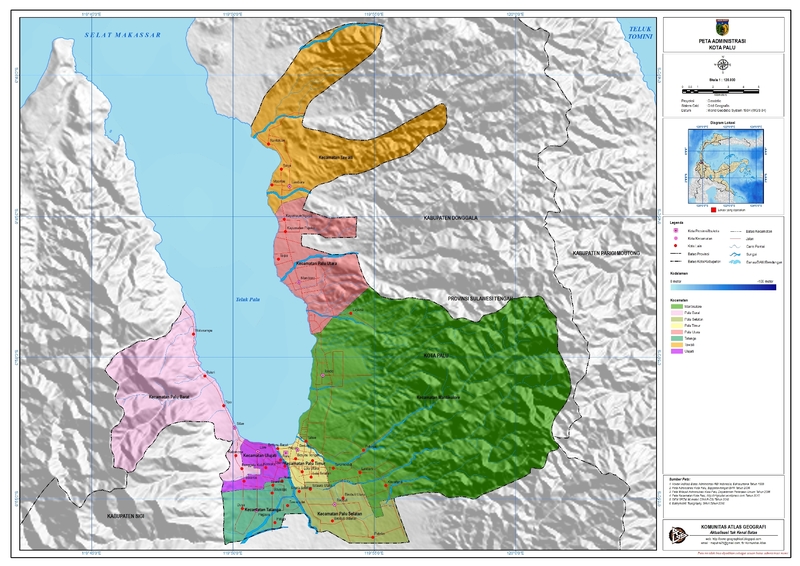 ^ Peta Infrastruktur Kota Palu [帕卢市基础设施地图] (Map). 1:20,000. Kementerian Pekerjaan Umum. 2013 （印度尼西亚语）. ^ 印尼经济特区. www.kemlu.go.id. 印度尼西亚驻广州总领事馆. 2015-07-15 [2017-09-22]. ^ 印尼有意藉经济特区计划发展旅游基建. economists-pick-research.hktdc.com. 经贸研究. 2017-07-06 [2017-09-23]. ^ 苏拉威西的比通和巴鲁 政府拟定为经济特区. www.shangbaoindonesia.com. 印度尼西亚商报. 2013-07-26 [2017-09-23]. （原始内容存档于2017-09-23）. ^ 中国投资家要在巴鲁建钢铁厂. 印度尼西亚中国商会总会. 国际日报. 2017-09-23 [2017-09-23]. ^ 印尼将在东部地区新建5个经济特区. intl.ce.cn. 中国经济网. 2014-08-14 [2017-09-22]. ^ Maruli, Aditia. Indonesia hosts paragliding open championship in Palu. Antara News. 2011-06-18.